- You will get access to all the material that is needed for passing the PMI PMP certification exam. The Progressive Ventures providing certification courses workshop introduce latest technologies and easy solutions for the managers to take effective decisions and make possibility to plan, manage and communicate project information, resulting in increased productivity and effectiveness. PMI Accredited full-time intensive PMP Certification Training and Examination conducted by Vinsys IT Services in India and around the world. Becoming a PMP is recommended to communicate your reputation to employers, stay abreast of new developments, network with certified colleagues, and snag the best project prospects. To become PMI certified person an individual has to undergo training as per the latest guidelines of PMI. Anexas provides high quality training and it’s known to the public as a Centre with professional trainers with vast experience. - Training with techniques to make you learn faster. we provide PMP Training with 35 PDUs. 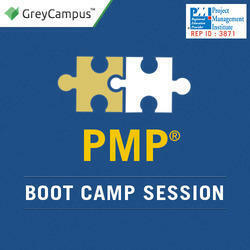 Training will be done with Certified PMP Trainers form PMI. Benefit from high quality study material which has been used by and helped hundreds of the professionals in over 60 countries! Don't leave your success up to a chance. Pass your certification exam with confidence. : Project management professional Trainings.